Park Hyatt Aviara Resort, Golf Club and Spa is located in Carlsbad, a city on the southern California coast between Los Angeles and San Diego. 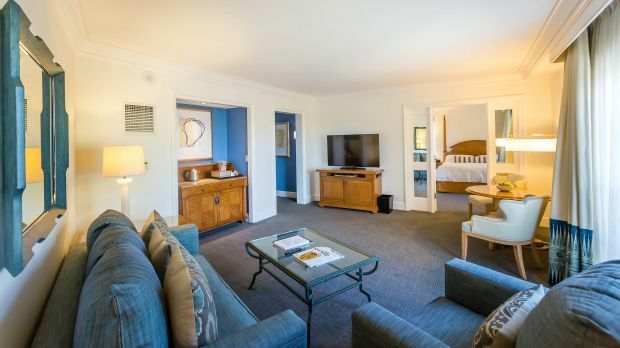 Upscale shopping, LEGOLAND and beautiful beaches are within 5 minutes of the resort while San Diego Zoo, Seaworld, Balboa Park and Safari Park are all an easy 30-40 minute drive. It's love at first sight as you step onto the fairway of the golf course at Park Hyatt Aviara Resort, Golf Club and Spa. Built on rolling terrain, this Arnold Palmer-designed wonder has its share of water hazards - and a Spanish colonial clubhouse to boot. Invoking the best in California Coastal Design, relaxation and rejuvenation come easy in one of 327 guest accommodations. Sweeping views are par for the course here, mingling with modern decor, Hyatt Grand bedding, large flat-screen TVs and beautiful marble bathrooms to present the complete guest package.